Made from TPR material, highly durable and extremely strong structure. 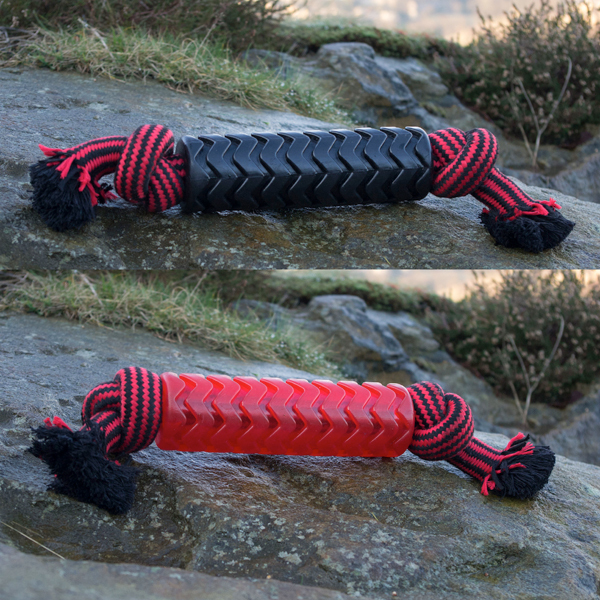 TPR sleeve superior strength to protect the rope from extended chewing. Stronger than the average dog rope toy and discourages your pet from destructive chewing on home belongings. A great solution for any dog who loves to test their toys to the limit.